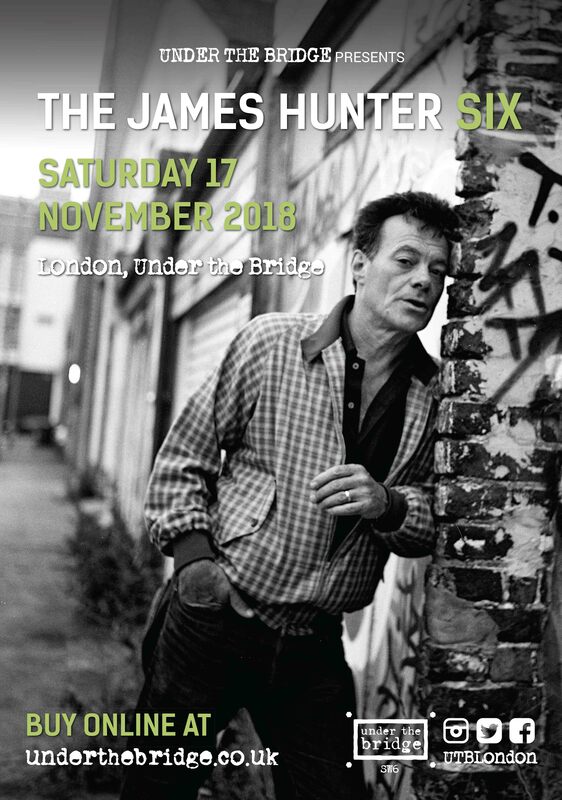 Following the success of his sixth studio album Whatever It Takes released earlier this year and a sold-out show at Omeara, Under The Bridge gear up to play host to GRAMMY-nominated soul singer James Hunter and his sextet on Saturday 17th November 2018. The first Brit to sign to Daptone Records, Hunter is revered by critics both in the UK and in the US, with MOJO naming Hunter as “The UK’s greatest soul singer”. Hunter has provided backing vocals and guitar for Van Morrison, as well as opening for such stars as Aretha Franklin, Etta James, Willie Nelson and Tom Petty, as well as headlining his own shows across the globe. Throughout his celebrated career, Hunter has remained true not only to his musical roots, but to his loyal bandmates—the newest of which joined him over 20 years ago. This November, he graces the West London venue as one of “The James Hunter Six” – Jonathan Lee (drums), Lee Badau (baritone saxophone), Damian Hand (tenor saxophone), Andrew Kingslow (keyboards/percussion) and Jason Wilson (bass) – where they’ll perform songs from his latest album (inspired by his new wife) as well as revisiting his five other critically acclaimed records.